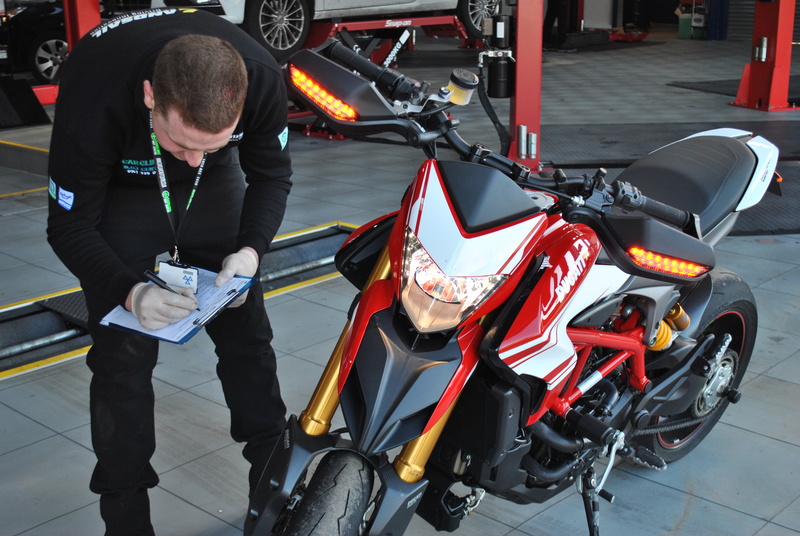 Just like every car, every motorcycle needs to have an MOT test every year once it reaches three years of age. It is then possible to renew your MOT annually up to a calendar month before its expiry date. The earliest that you can have your bike Class 1 MOT tested if you want to add on the remaining time before expiry is printed on your pass certificate. What is involved in a Class 1 MOT Test? A class 1 MOT test is for motorcycles and motor scooters up to 200 CC. The annual test comprises of a thorough check of the essential components that keep your motorcycle in a roadworthy condition. If your vehicle fails the MOT checklist then it is deemed to be unsafe to be ridden on public roads (either for you as a rider, or to other road users). What parts of the motorcycle are checked? Please note that the condition of your engine, gearbox and clutch are not checked in the MOT so you still need to maintain your motorcycle’s regular service schedule. Where can I have a Class 2 MOT for my motorcycle in Ellesmere Port? Here at Car Clinic MOT Centre, we do not just deal with cars – we can now offer MOTs on motorcycles of any make, model or engine size. Car Clinic MOT Centre is Ellesmere Port’s experts for MOT Ellesmere Port, Ellesmere Port tyres and car repairs Ellesmere Port. Call us on 0151 3390101 or pop into our Ellesmere Port garage to find out more.